You have built an amazing IOS App, and you are ready to launch it in full swing. But do you have any strategy for marketing your IOS App? If no, then this post is custom-made for you. If you think your small app won’t have a market, you’re on the wrong track. Even small developers can make a niche for their app using the appropriate marketing strategy. Your strategy of marketing the IOS App should be relevant to the category of the particular app. The first and foremost step while marketing your app in Apple store is to get it approved by Apple. This is a vital step to make sure your app gains trust and confidence of the user. Read all the policies of Apple before sending them your app for approval. This will help you get your app approved with ease. Once Apple approves your app, it’s time to pull up your socks! It is important to have a blog to make people aware of your IOS App. The blog is a great place to market your app as you can provide full details about the app, like what this app is about, what it has to offer to the user, how the user will be benefited, etc. Don’t forget to include the link to your app in the blogs. Apart from blogging, you can also create a website with a web page or two to market your app. Brief about your app and provide a link to download it from App Store. Social Media is a stable platform to introduce your app and it should be on priority in your marketing strategy. Share stuff about your app and also relevant to your app. This will make people like your page on Facebook or follow you on Twitter. You can even ask your family and friends to share your app with their friends on various social media platforms. Another formula to market your IOS app is to create a video. There are millions of videos available online to promote apps, but the key to successful video marketing is emotions. Focus on creating a funny video which tickles the funny bone of the viewer. Making someone laugh is the shortcut to win his or her trust. We are not saying this, a psychological fact it is. Videos that strike the right cord goes viral. People prefer watching an entertaining video instead of reading plain text. Bingo, your video marketing strategy is a success! The weirdest thing about searching an app on App Store is, it’s hard to find, even more than Google search. Ranking on Google is tough but ranking on the app store is tougher. There are thousand of apps available on app store, maybe with the same title or keyword as of yours. The key to ranking high in the app store is to use optimally the keywords and title of your app. Further, you have to get in touch with more people through various platforms to increase the reach of your app. If you have created your app in one language or the language which not much spoken, you need to rethink about this. Break the language barrier so that your app can reach more people. Focus on creating an app that is multi-lingual. This will help you market your app to more people across different regions of the world. If you already have apps on app store, it is a very good idea to promote your new app through your existing apps. Spread awareness about your new app through existing apps. You must be knowing your competitors very well and maintaining a track of their activities. It is crucial to keep an eye on reviews of your competitor’s app. Focus on 5-star rated reviews first. Users who are happy with the app tells more about why they love that particular app. Low-rated reviews let you know the flaws of their app, which will help you to create your app with more efficiency. Reviews are a goldmine, and you need to dig it to build a superstar app. Also, once your app is launched don’t abandon the reviews you get for the app. Reviews help you improve your app. Make noise, create a buzz while launching your app. Hog limelight to reach more people. Just make sure you use the correct keywords. Update your app time to time to keep your users hooked; this also helps you gain more users through referrals. 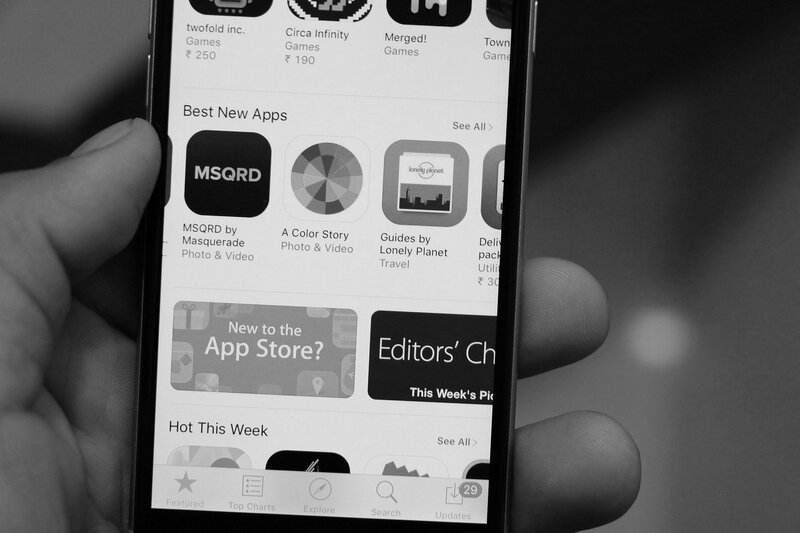 Optimise your app store page so that it reaches out to maximum people quickly. You can also invest in paid promotion. Marketing is not a simple process, but if the strategy is well-planned it can do wonders in making your IOS App a success.